Mark I. asks: Are there any known animals other than humans that intentionally commit suicide? Animal suicide is a hugely controversial issue in the world of animal research and psychology, because although there are numerous documented instances of animals seemingly intentionally ending their own lives, no one is exactly sure whether these cases can technically be classified as suicide. First things first, because we’re sticklers for factual information, we feel like we have to point out that the most famous “suicidal” animal of all, lemmings, do not actually throw themselves off of cliffs when they migrate. As we’ve already mentioned before, no one is exactly sure where the myth originated from, but we can thank Disney for making it “common knowledge” when they used a turntable to throw dozens of them into a river and then filmed the results for an Academy Award winning documentary called “White Wilderness”. Why did they intentionally kill the lemmings in this way? Because it was thought at the time that lemmings did this, and the filmmakers needed a video of it. You can read the truth about the situation concerning the lemmings here. Moving on, there are numerous cases from history of animals seemingly killing themselves for no explainable reason. Perhaps the most famous is the curious case of Overtoun Bridge. In a nutshell, since the 1960s dozens (or hundreds depending on which source you consult) of dogs have leapt off of the bridge to their doom for no discernible reason. While the exact number of dogs who’ve plummeted to their deaths isn’t known, the phenomenon has been widely covered and written about for years. It wasn’t until an animal behavioral specialist, David Sands, investigated the bridge that the mystery was finally solved. Sands discovered that the end of the bridge most favoured by dogs seeking to end it all just so happened to be above a known nesting ground for mink. Sands also discovered that the majority of known dogs that had made the leap were long snouted breeds known for their extraordinary sense of smell. Putting these two facts together, Sands was able to conclude that the dogs weren’t committing suicide at all, rather they were excited by the smell of a small furry creature and tragically leapt over the safety wall (which is above the sight-line of most dogs) not realising they were standing on a bridge. In yet another apparent dog suicide attempt often used as an example that dogs are capable of the level of abstract thinking necessary to be able to contemplate ending it all, we have the incredible story reported in the Illustrated London News in 1845 about a Newfoundland dog that supposedly repeatedly threw itself into the water and refused to move until it drowned. The dog was rescued several times throughout this, but every time it was rescued, it would return to the water and (apparently) attempt to drown itself by not moving. As amazing as that story is, how accurate it is and the events surrounding the apparent suicide have been lost to history. If this one dog was capable of it, one would think there would be numerous other irrefutable dog suicide attempt stories like it. The closest we have today is the phenomenon of dogs that will sometimes refuse to eat after losing their masters, which does in rare cases continue to the death of the dog. But the question still remains in these cases- is the dog refusing to eat so that it will die, or is it just refusing to eat because it’s sad and has no appetite, as can happen with humans, but in the dog’s case not realizing the potential consequences? Of course, it is nearly impossible to ever tell if any non-human animal knows its actions will result in its own death and performs the actions towards that end. That said, there are several types of insects who willingly allow themselves to be killed, or even in a few cases, do the deed themselves. For instance, it has been noted that certain species of ant possess the ability to explode themselves at will when threatened (often emitting some sticky or poisonous substance in the process), earning them the apt nickname of “exploding ants“. However, even if the ants realise what will happen in terms of their own existence when they perform this selfless act, most would not classify this as suicide any more than a soldier leaping onto a grenade to save surrounding soldiers would be considered to have committed suicide; the ant sacrifices itself for the greater good because as a species, it’s evolved to put the needs of the many before the needs of the individual. The Forelius pusillus ant also has worker ants that will sacrifice themselves for the good of the colony, but this time in a slightly different manner than the exploding ants. Every night, the nest of a colony needs sealed off in such a way that the nest will be undetectable from the outside, in order to protect it from predators. As such, sick ants or ones who are older will (apparently) volunteer to perform the task of staying outside the nest at night. Once all the rest of the ants are inside, the sacrificial ants will seal up and hide the entrance and usually will end up dying from being left outside. Even when researchers have collected these sacrificial ants and taken care of them, they usually die soon anyway, which is why it is thought that generally older or sick ants are chosen or volunteer for this task. Likewise, honey bees will willingly explode their own penises and subsequently die, just for a chance to pass on their genes. They will also willingly remove themselves from a hive if they know they’re infected with a disease that could potentially hurt other bees. Japanese honey bees, when defending against the Giant Asian Hornet, will intentionally group together and ball the invader. Once they’ve surrounded the hornet, they will decouple their wings internally and then beat their muscles vigorously, similar to how honey bees heat their hives despite being cold blooded. In this case, the heat at the center, combined with high carbon dioxide levels in the ball, becomes intense enough to kill the hornet- the bees only real defense against it. Unfortunately, bees near the hornet in the ball may also die as a result, but do so (apparently) willingly for the good of the hive. Again, some would classify this as suicide, but others would classify it as a form of altruistic behaviour typical of a hive orientated species. Indeed, whether to classify an animal’s action as suicide is almost as contentious as the issue of whether animals possess the cognitive function to understand it as a concept. Do the bees at the center of the heat ball understand their actions may result in their death or do they simply do it as the introduction of the invader triggers certain innate actions built into their brains, without any real conscious or abstract thought happening at all? In short, though we’re aware of numerous cases in which animals have seemingly intentionally taken their own lives, we simply don’t know whether the animals understood the ramifications of their actions, or were just reacting to environmental triggers without much thought going into it. About four men will commit suicide for every one woman that does the same. Given this, you’d perhaps expect that men are much more likely to try to kill themselves than women, but this isn’t the case at all. In fact, nearly three times as many women as men will attempt to kill themselves. One particularly interesting fact about the history of (apparent) animal suicides, or rather, our reaction to them, is that they seem to parallel our own relationship with animals as a whole. After Darwin’s seminal work linking humans and animals, the issue of animal treatment became a big deal and in the years that followed, stories about animals killing themselves became common tabloid fodder. Humane groups and advocates would then use these stories as clubs to convince others that animals were capable of human-like thinking and thus, deserved humane treatment. A trend that has been extensively written about by researchers, Duncan Wilson and Edmund Ramsden. Similarly, today stories about animals suicides are almost ubiquitously used to endear us the plight of a captive or mistreated animal by giving it anthropomorphic qualities, which only makes discerning whether the animals themselves were aware of their actions more difficult because the story then becomes emotionally charged and, often exaggerated for effect. 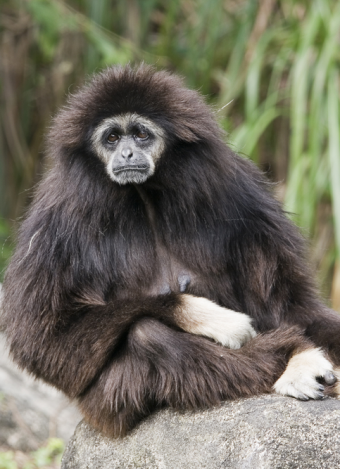 Hairy-Kiri: Do animals commit suicide? Some people claim that dolphins and whales that beach themselves are committing suicide. I also have heard the same. In fact I was expecting to read about a particular case of a “famous” captive dolphin that drowned itself right in front of the trainer. I did however see that in a documentary about the cruelty of captive whales. The name escapes me. Technology Forgets to serve man, Words Fail, Its all been written. All other species strive to survive, yes true, and whats worse, is America, with all its brilliance is the worst in terms of checking itsself out . Suicide, Homicide, Familicide, only 60 percent of americans can speak of the American Dream and Less than 40 believe they can ever achieve it. We lead in domestic violence, glorified violence, commercialized violence. Harm to intimates, and lack of respect or care for our own. Our young.. Old, Our Farmers, Our Schools, Our health, weight, desire for things, Our very individuality being crushed by external ism . Where is collective application of technology to the good of man. Where things are so out of balance and the planet creaks with the strain of conflict, we have indeed lost site of our own intelligence. When will we collectively Get it? Great Comments all the words have been written there is no comparisons necessary or any correlation to animal suicide which improves our planet. Possibly to add some clarification this thread, I recently took in my physically unable grandmother (who was the master to a 9 year old Female Boxer) dog into my home. This lady had raised me so I was familiar with Lucy. Often at her home and and frequently staying the night with her as she lived a 2 hour commute. After a short stay in the nursing home and with family to watch over Lucy she had some sort of a occurrence that left her back leg weak and unable to walk firm and straight. This was obviously upsetting to her just as my grandmothers condition in which she was no longer able to tend to Lucy as she had in the past. Lucy knew my grandmother was physically unable to tend to herself or Lucy but to Lucy she was happy just being with her mom (my grandmother), Today is now 4/6/16 and on this day Lucy has passed on (early in the morning). I had her for approximately 2 months. Let me also add that my aunt lives with my grandmother and was unable to tend to Lucy as needed due to work schedule. My aunt had planned to put down Lucy without my grandmothers consent and this bothered my grandmother so we decided I take her home to work with her because I work from home and have some extra time. The first month was great she was happy, she would wag her little knob tail and be playful with our other dog (10 yo Boston terrier). She would try to chase cats off, have chats with my grandmother via-phone and most importantly she took her vitamins, ate and drank well. Well in this past few weeks my grandmother had asked me to bring her up so she could see her beloved Lucy. Lucy was beyond thrilled and shared my grandmothers hospital bed (taking up most of the room ;)). She was content because she was with her master. She knew her master was just as sick and unable as she was but to be in her presence was everything. Shortly after the visit to my grandmothers Lucy little by little stopped taking vitamins, food and then water. I would little cook a roast to smell the house of yummyness to excite her appetite and put it down for her beside her bed and she would only try to cover it up, every single time! After not eating for 2 days she would always take her water but would immediately vomit it up. After she realized this she stopped drinking entirely. I would put water in a straw to try to wet her mouth and she did not even want to swallow it. Lucy was homesick and seeing her master for that last time was the final straw. I tried my best to save her but in the end her will was too string and I asked God to take her to him and let her be at peace. I Never write in these response areas however I felt her story was literally compelling. Her love for her master was greater than the love she had for herself and that says it all. Your statistic about women attempting suicide more is flawed. These statistics are taken from hospitals and count all forms of self harm. They are flawed in the same way animal suicide is flawed. Their may be no intent to end their lives, and it leaves or people that don’t go to the hospital for help. Men are far less likely to seek help from a hospital after self inflicted harm (or at all).